This article discusses conclusion of the #contract and ongoing #negotiations in relation to #construction of #floating docks at the #factory of #Ukroboronprom in #Kherson. State Concern Ukroboronprom, which is responsible for management of the enterprises of the military-industrial complex, concluded another contract for construction of a floating dock. The floating dock will be built at “Palada” plant in Kherson. The construction of the dock is ordered by a Cypriot company. 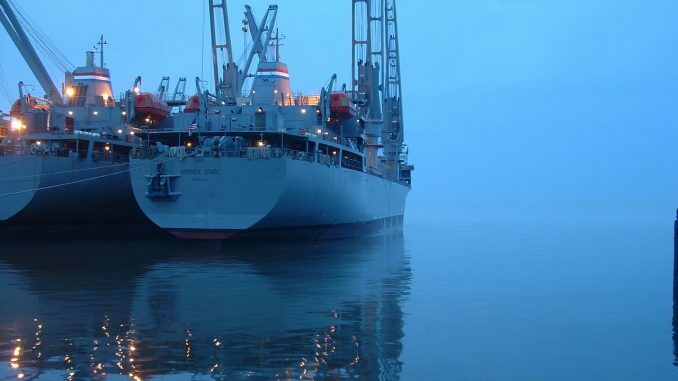 Furthermore, the Chairman of Kherson Region Administration also announced that there are ongoing negotiations with companies from South Africa and Kazakhstan on construction of similar floating docks. We note that in April 2016 a floating dock was constructed and transferred into the ownership of a company from South Africa. In addition, the floating docks built at “Palada” plant in Kherson are used by various companies in Russia, Baltic states, Finland, Bulgaria, Croatia, Japan, South Korea, Vietnam, Angola, Nigeria, Algeria and other countries. Also, “Palada” plant is specialized in construction of floating concrete and special docks, pontoons for building hotels and restaurants, marinas, breakwaters and other floating structures for various purposes. We note that earlier State Concern Ukroboronprom announced that following its participation in DefExpo-2016 in India, which is the largest exhibition of military production in South and South-Eastern Asia, 15 memorandums of cooperation were concluded with Indian companies, such as Reliance Defense Limited, Tata Power Company Limited, Punj Lloyd and Larsen Turbo. At the event, Ukroboronprom presented more than 40 products, developed and manufactured by Ukrainian enterprises. In addition, Ukrainian delegation held eight meetings with the Defense Minister of India and Supreme command of the Indian Armed Forces as well as with leading Indian manufacturing companies of military and special purpose products. In particular, the signed memorandums of cooperation deal with development of the multipurpose military transport aircraft for the needs of the Indian Air Force and for civilian purposes as well as installation of supply gas turbines on Indian naval forces equipment.